On paper, the film Escape from Tomorrow is too fascinating to ignore. The debut work from writer-director Randy Moore, the story of the film revolves around a family, the father being the focal point, on vacation at Disney World. After learning that he was losing his job, the man begins a descent into madness, encountering disturbing experiences and visions all the while trying to spend the day with his wife and children. The psychosis is not the only thing that serves as a distraction for the man as he catches a glimpse of two teenage French girls and he simply cannot look away. His attraction to these underage girls and his desire to follow them throughout the park is far more unsettling than the imagery portrayed throughout. However, the controversy surrounding the film, not the content, is what placed it on a must see list for me. 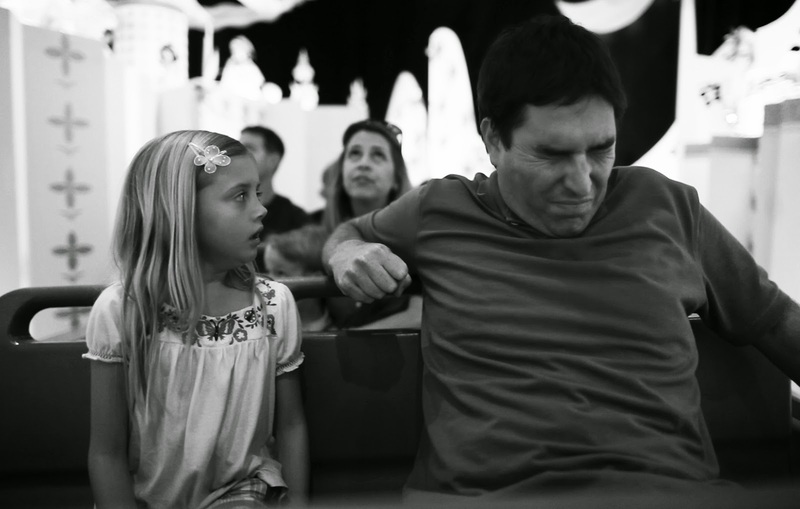 Escape from Tomorrow was created using guerrilla filmmaking techniques because while the entire work was created on location in Disney World, the required request for permission to do so was never obtained by Moore, as he instead decided to keep the scripts on the iPhones of those involved in the production and he filmed using a standard handheld camera no different from what a regular guest of the park might bring to capture memories. On this level, and this level only, the film is an achievement, as I expected a far more amateurish feel to the feature and I admire the ability to craft a competent film given the situation presented and the resources available. As I mentioned at the start of the review, on paper the film demands to be seen. As someone who often finds value in an original concept or the challenge of getting a film made and released on a limited budget, I found myself endlessly excited to experience a film like Escape from Tomorrow. Unfortunately, while my excitement was derived from what was on paper, it all died once I was able to actually see it on screen. In the process of reading up about the film, I encountered a few comments comparing not just the surrealist approach but the actual finished product to the visionary auteur David Lynch. Personally, I find such comparisons to be misguided and even disgraceful, on a similar level to a comparison between myself and LeBron James because I once scored 30 points in a game when I was 11 years old. Nothing that actually took place on screen worked as I found every attempt to disturb the viewer via tone and imagery to be laughable, but even those laughs fueled by derision were short lived. Roughly halfway through the 90 minute slog of a film I found myself checking the clock and wishing it would move faster so I could go to sleep and concoct a dream world far more fascinating than what was realized by Moore. I recall back when I first learned of this film, everyone was anticipating legal action from Disney for using their name, their iconic images and their locations without permission, and much to my surprise Disney chose to ignore it. The internet was filled with comments regarding how cool it was of Disney to look the other way and allow an independent filmmaker to profit off of their copyrighted property, but I couldn't help but wonder if, in reality, it was simply a brilliant business decision by Disney to scoff at the tiny little film and move along. Ironically, the only way Escape from Tomorrow flourishes as a film and becomes a cult sensation with somewhat broad appeal is if Disney makes headlines through lawsuits and statements and lengthy court battles. If the film is asked to stand on its own merit, it will fall fast and be quickly forgotten. With about 15 minutes of the film remaining early this morning, my Blu-ray player froze. In retrospect, this was likely the cinematic gods providing me a chance to shut the damn thing off and declare the film a failure, but I took the time to get the machine working again so I could absorb every second of it, maintaining that glimmer of hope that a terrific ending would slightly redeem every terrible moment that I had endured thus far. I should have listened to the gods and got out when I had the opportunity. 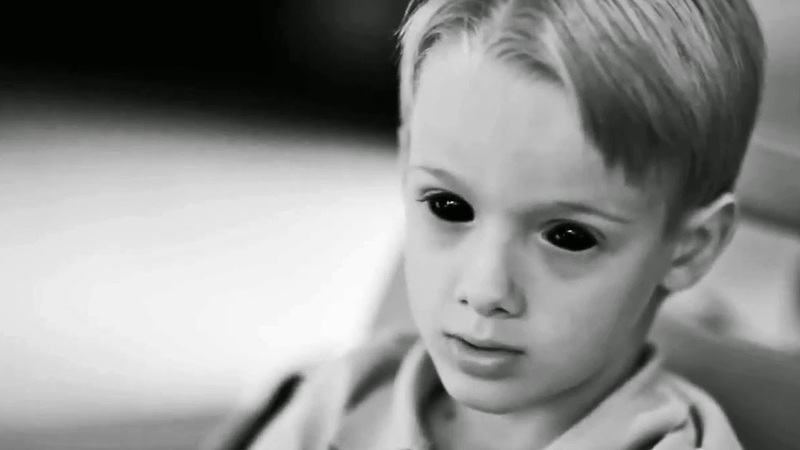 Escape from Tomorrow? More like escape from bland filmmaking and phony, uninspired surrealism.